This critical, multi-disciplinary collection explores the convergence of past and future in contemporary Japan. 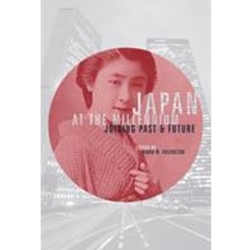 Contributors comment on a wide range of economic, socio-cultural, and political trends -- such as the mobilization of Japanese labour, the burgeoning Ainu identity movement, and the shifting place of the modern woman -- and conclude that despite the rapid changes, many of the traditional facets of Japanese society have remained intact. Institutional change, they assert, is unlikely to occur quickly, and Japan must find alternate ways to adjust to 21st century pressures of global competition and interdependence. A pleasure to read, this broad volume will be welcomed by upper level undergraduates, graduates, and specialists in Japanese studies.